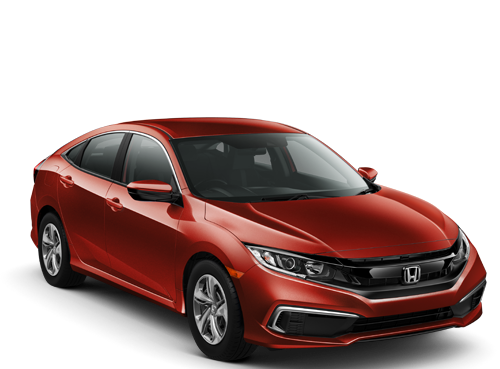 Photo shown for illustration purposes.2019 Civic Sedan Continuously Variable Transmission LX (FC2F6KEW) available to well-qualified lessees approved by Honda Financial Services. Not all lessees will qualify. MSRP $21,170.00 . $2,199 total due at signing. (includes destination, excludes tax, license, title, registration, documentation fees, options, insurance and the like). Offer ends April 30, 2019!